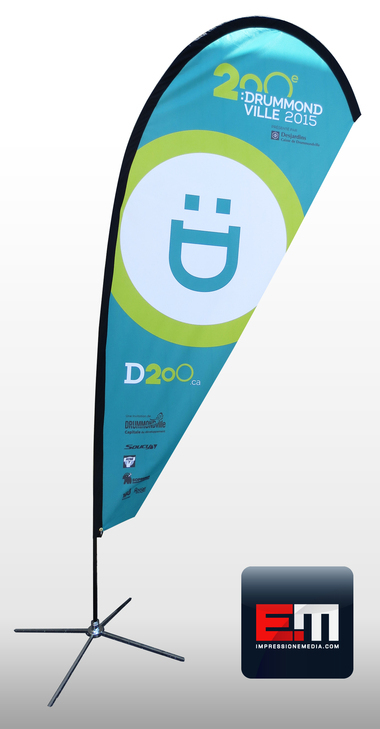 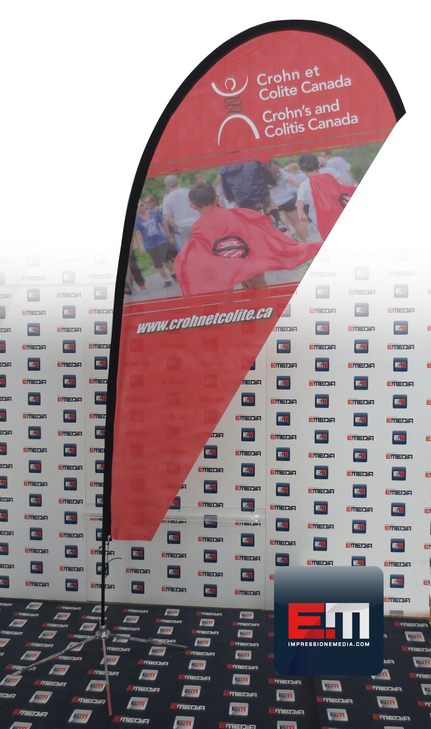 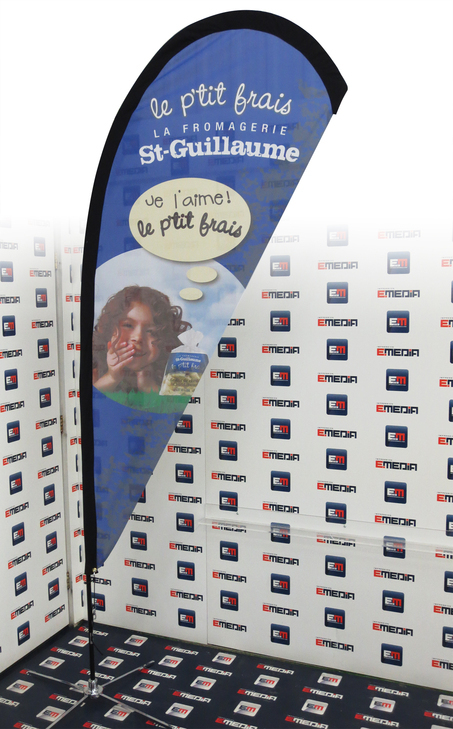 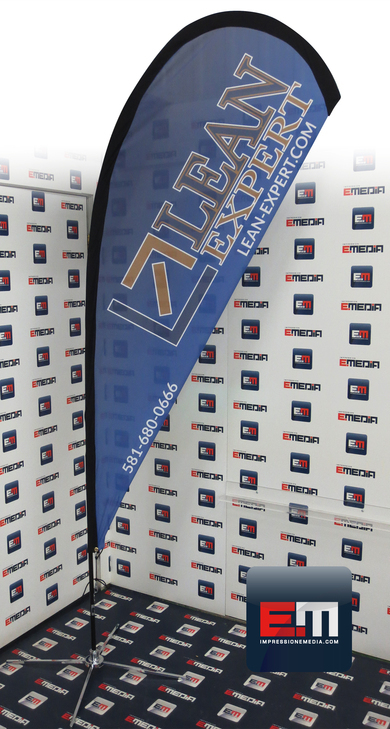 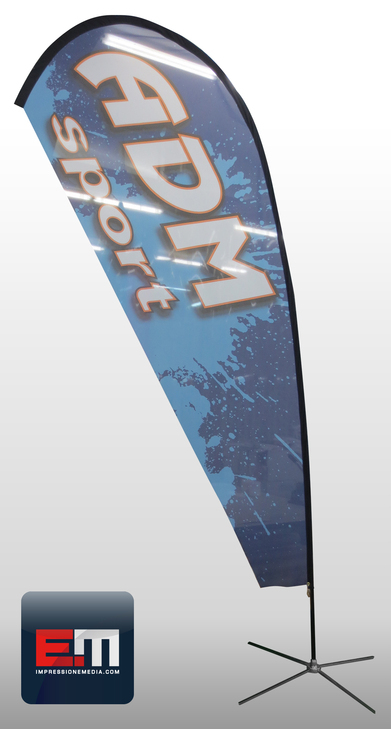 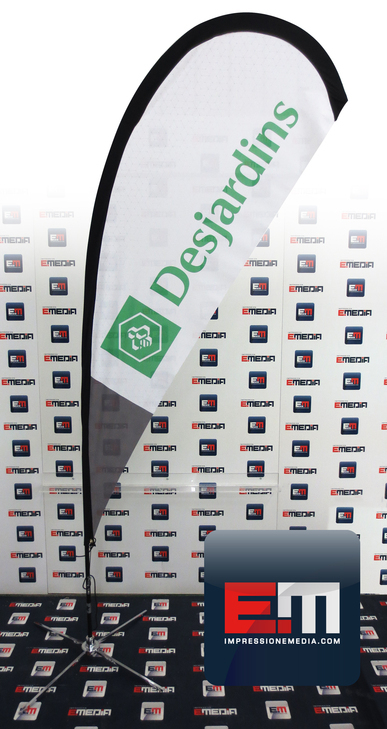 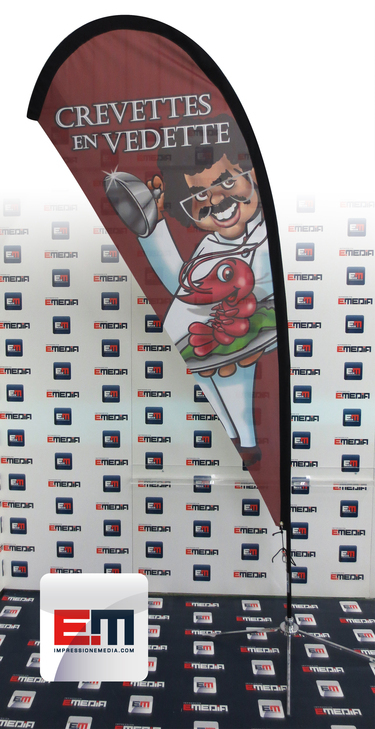 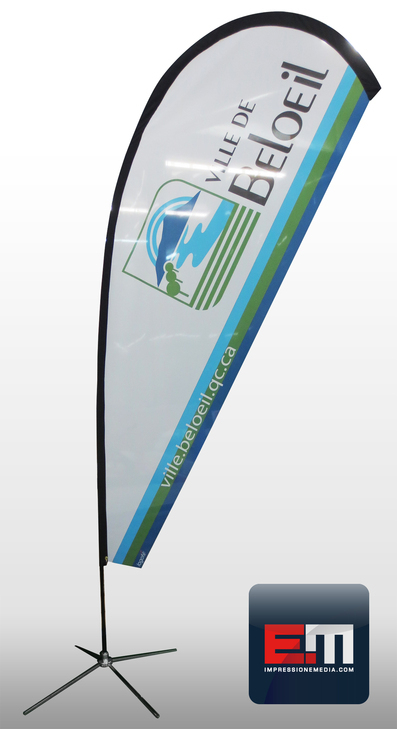 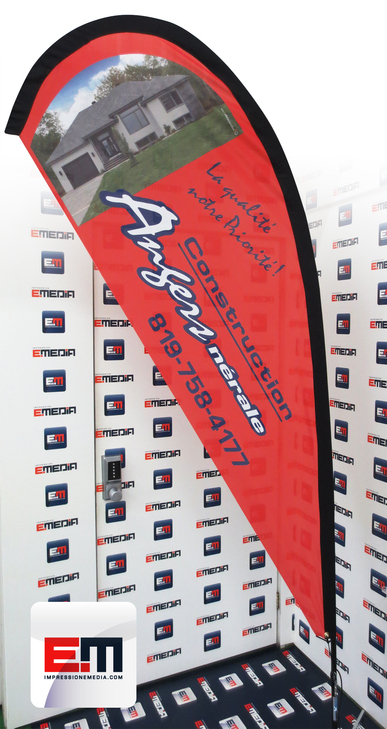 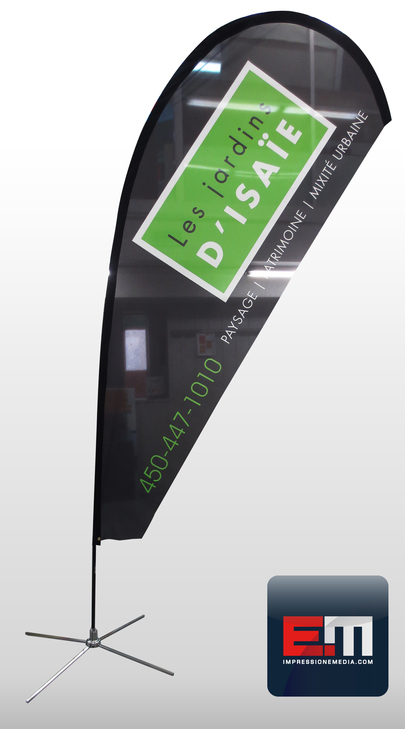 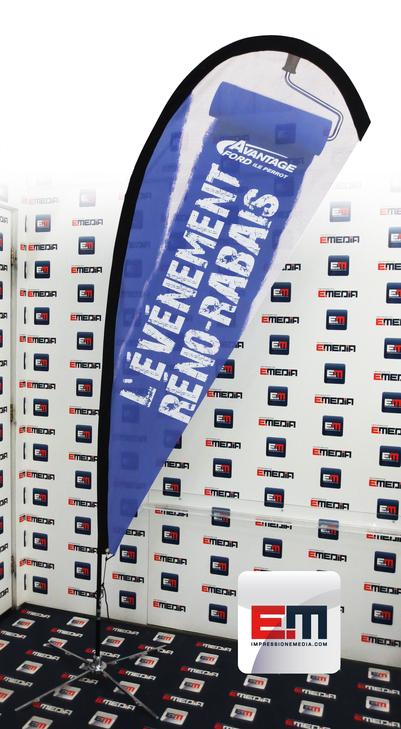 Catch the New Wave in displaying and advertising by choosing one of our Print EMEDIA Beach Flags. 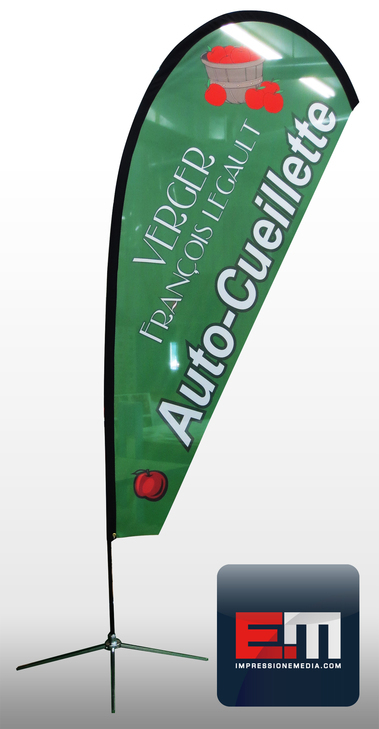 This new product is a great way to attract attention both on the street at your fairs, events, inside our outside. 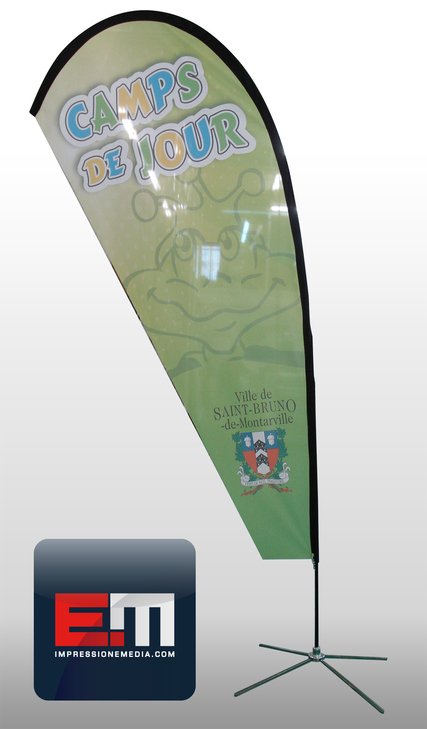 With our digital printing processes to eco solvent inks on flag polyester fabric, enhance your image. 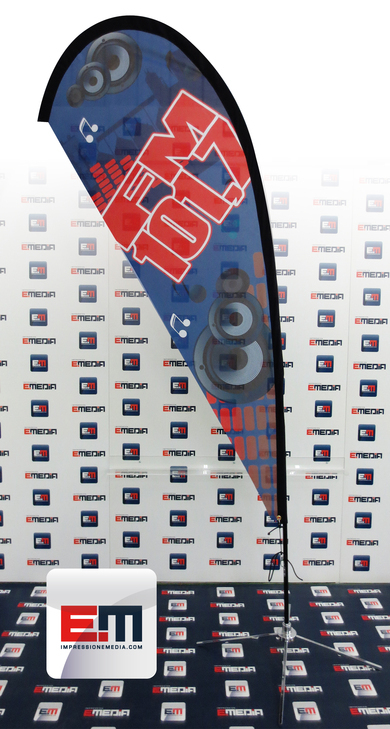 We print on one side of the fabric and the transparency allows you to see the graph on 2 sides of the flag. 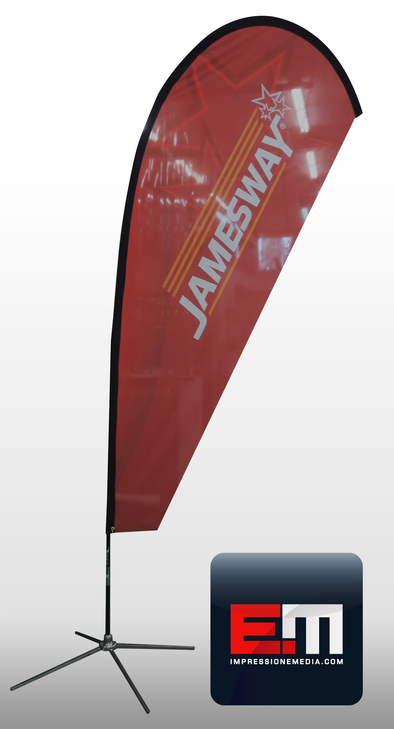 The hardware consists of a strong and durable structure that resists wind so this product is ideal for outdoor use. 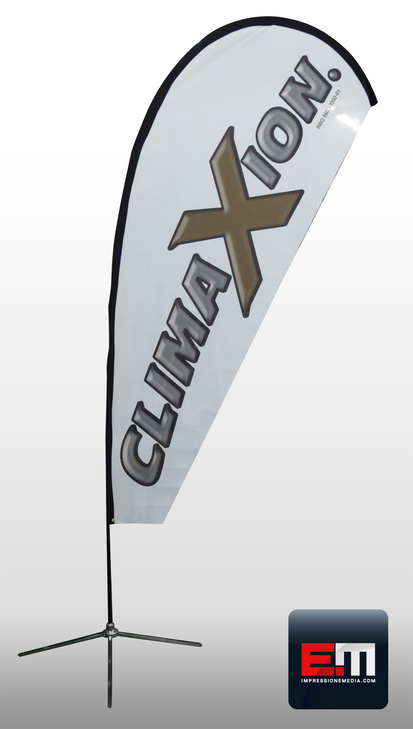 It can also be installed inside with the X base included in our prices . 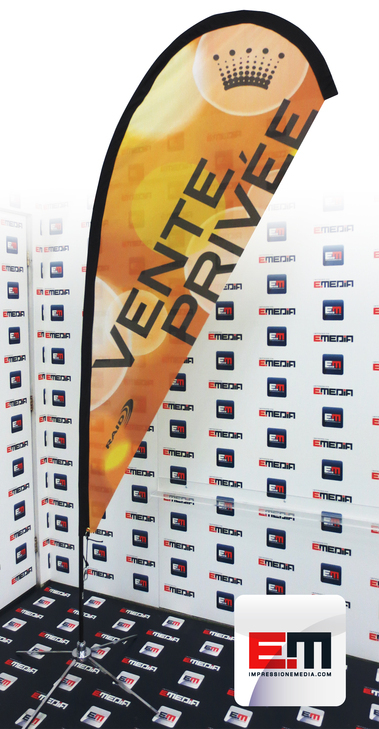 Depending on the effect you desire, we offer a choice of three sizes (small, medium and large). 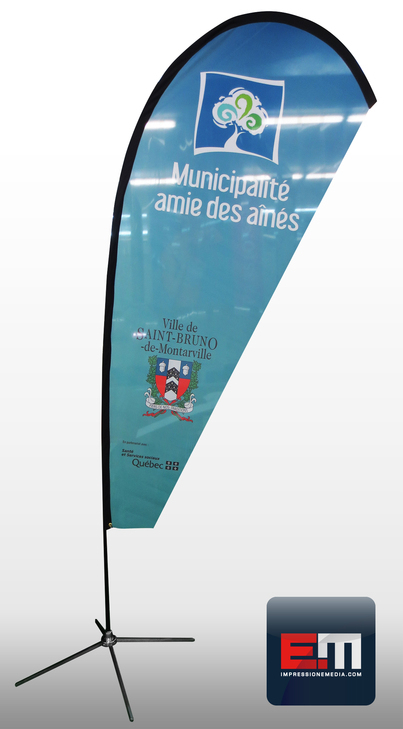 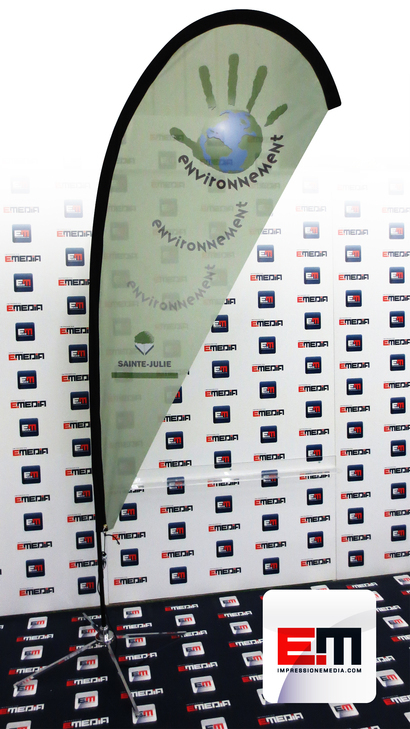 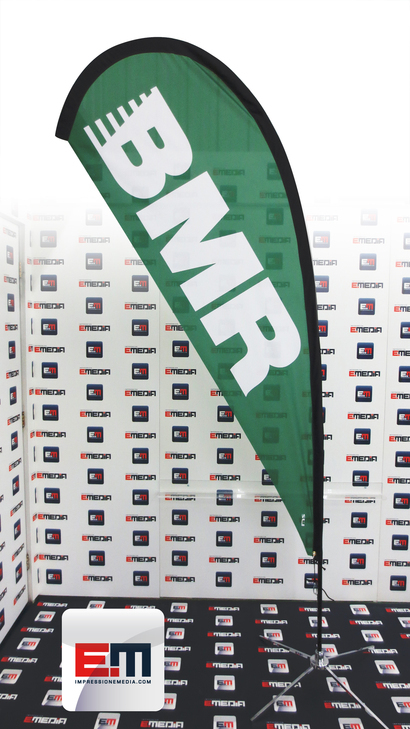 Print EMEDIA Beach Flags are easy to install, they are light and easy to carry with their telescopic systems and their carrying bag (included). 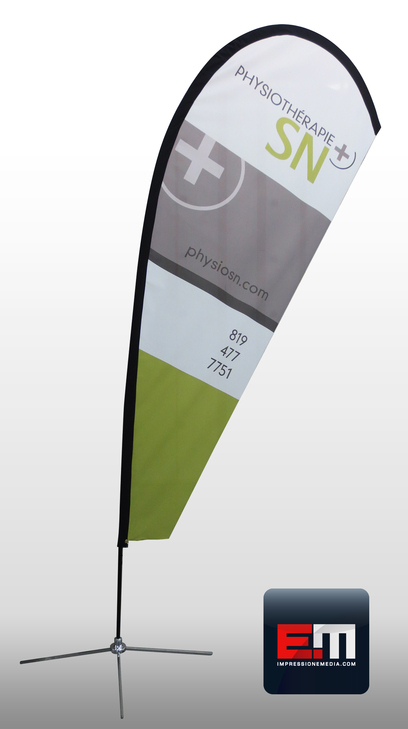 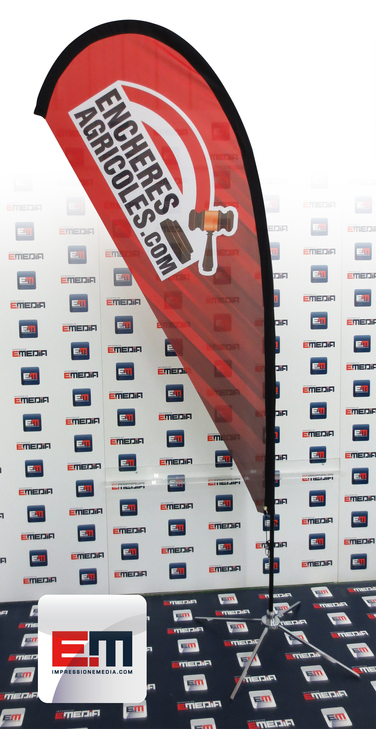 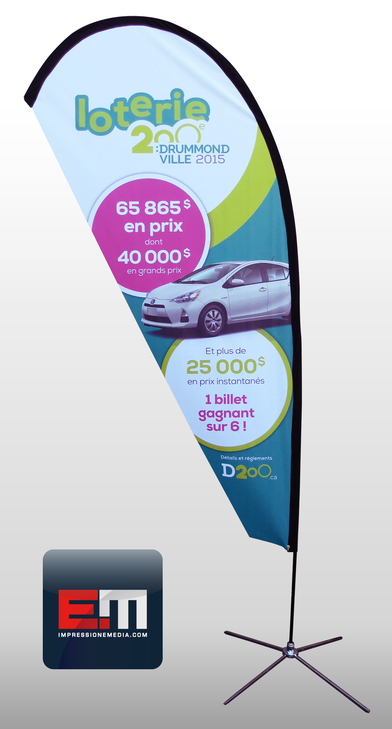 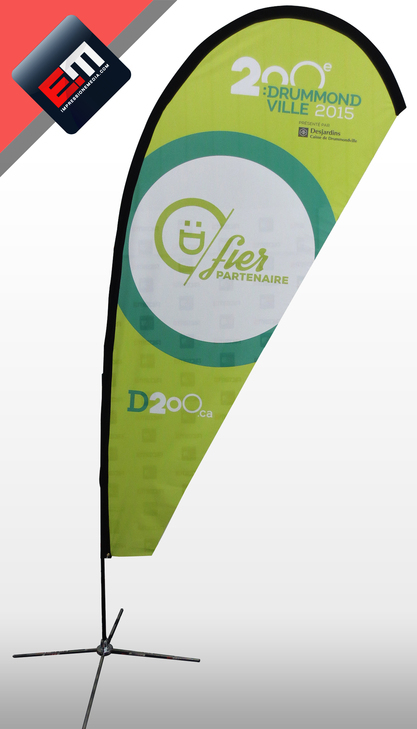 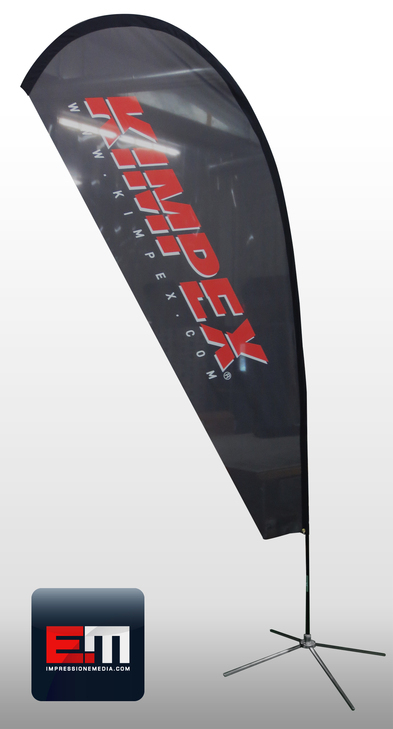 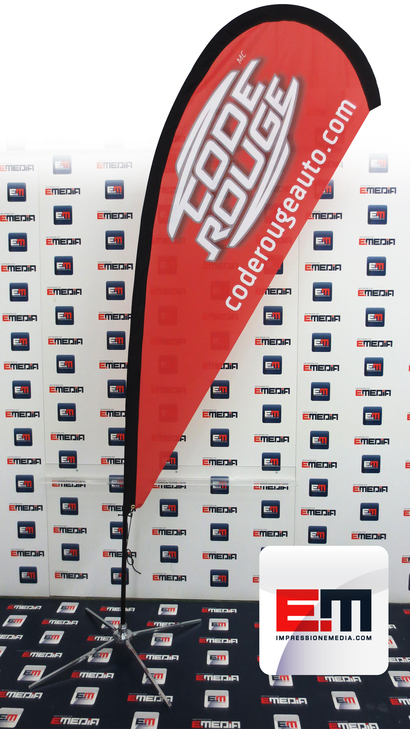 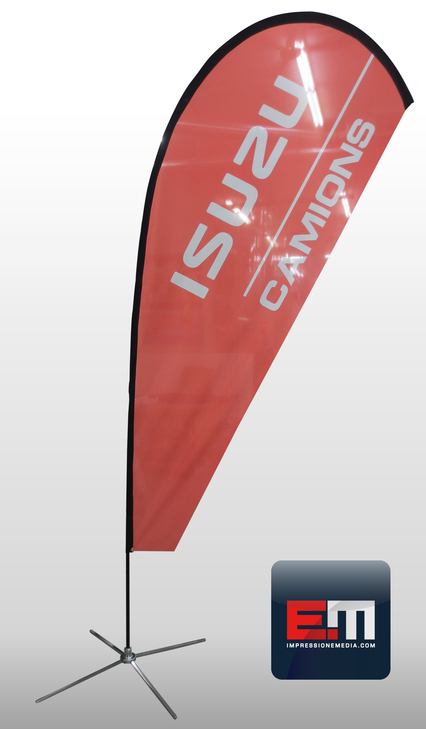 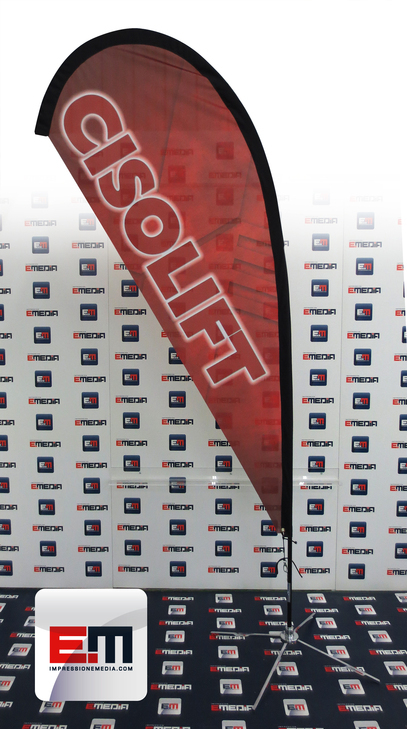 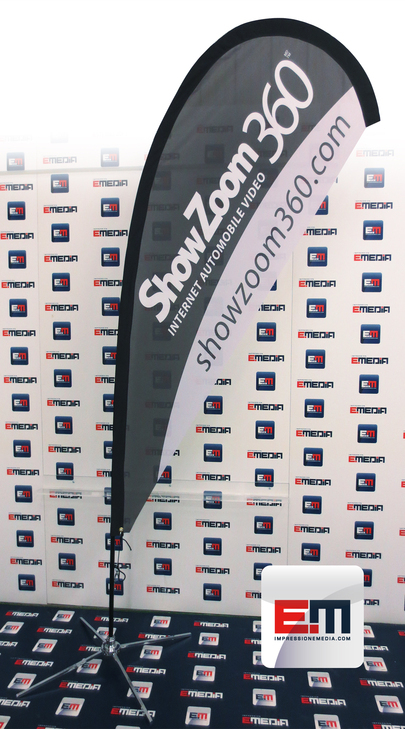 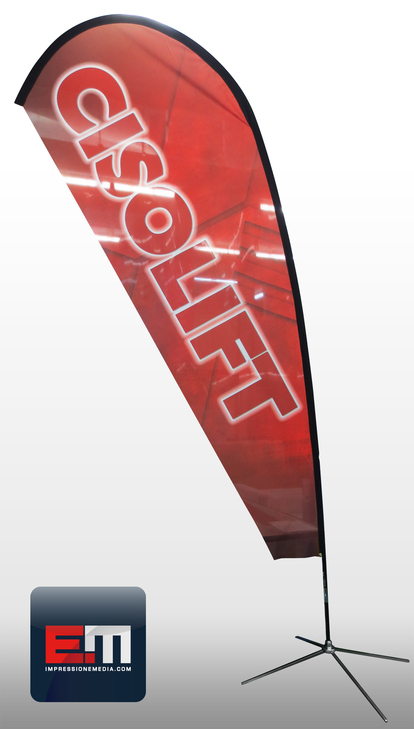 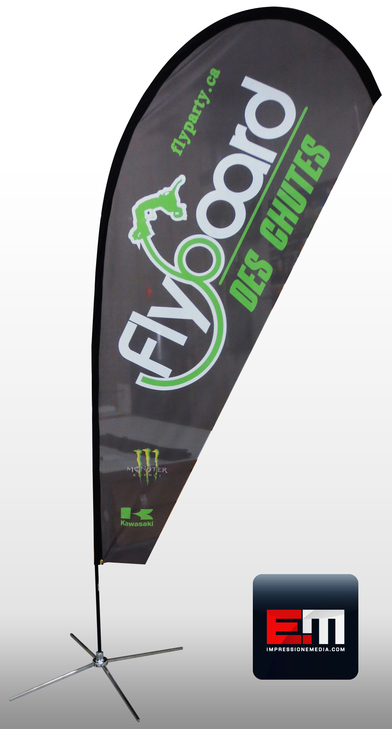 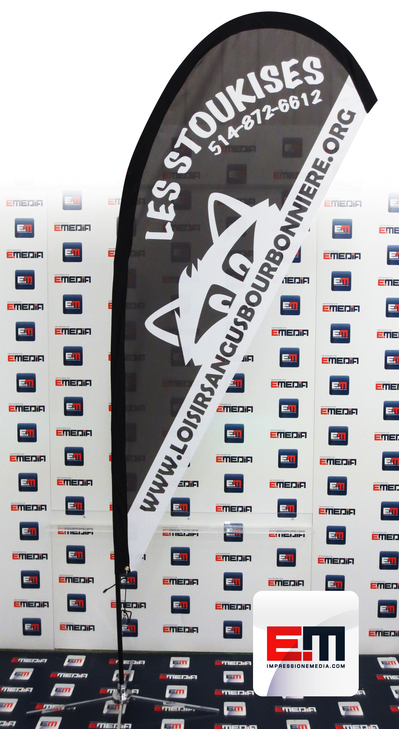 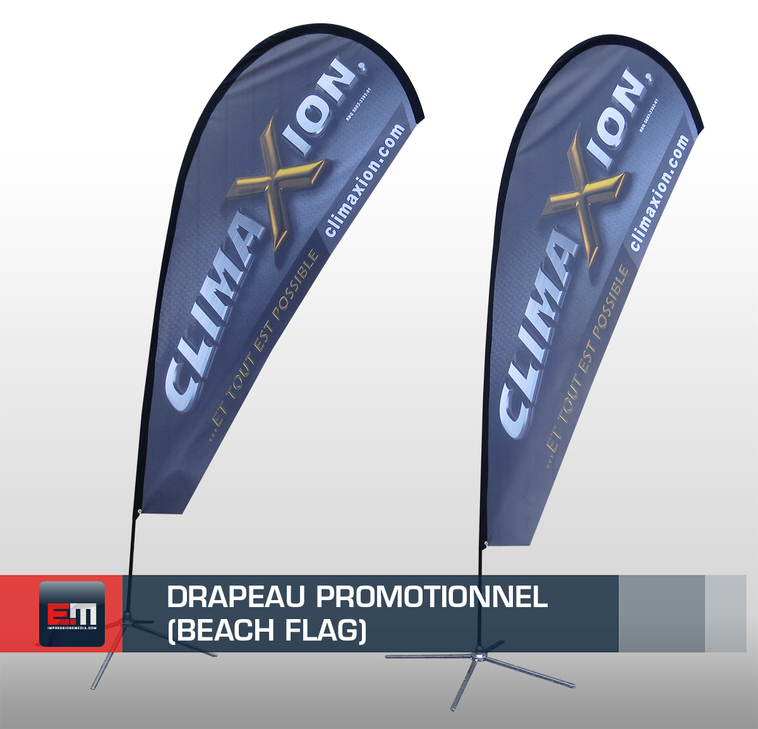 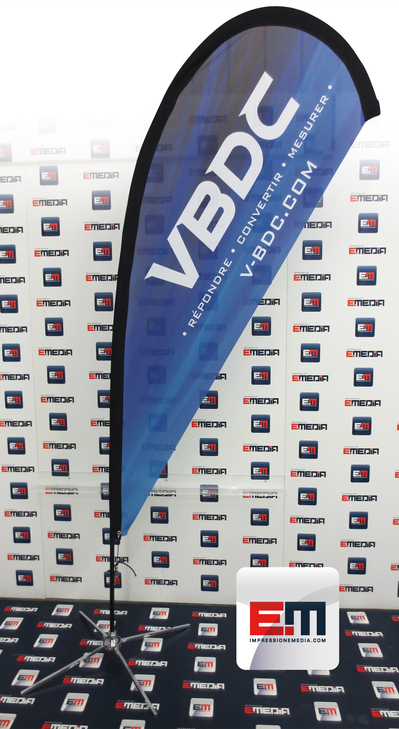 Show off your summer promotions with our promotional flags and get higher sales. 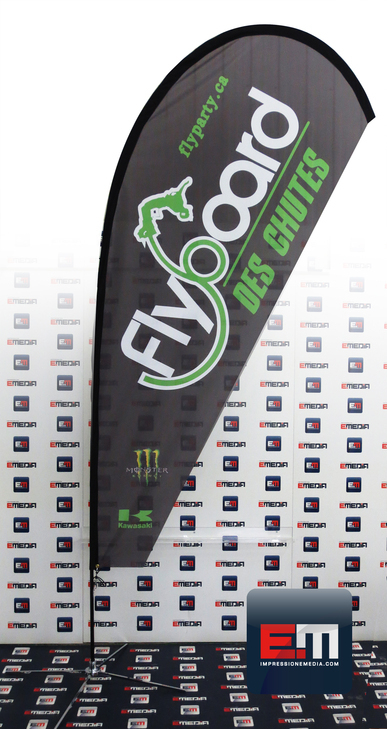 Please follow the instructions on the template for printing the fabric "flag" for your flying banner (Small-Medium-Large).